Directed a series interactive-animated stories stating the importance of following one's true passions, and the power of one's choices to shape our lives. Role: Director / Writer / Animator / Illustrator / Photographer / Sound Designer. Channels: Interactive Storytelling. Content. Interactive Animation. Digital. After six months of travelling in Europe I was inspired by the diversity life and culture I experienced, and the effect of how my choices shaped my trip. 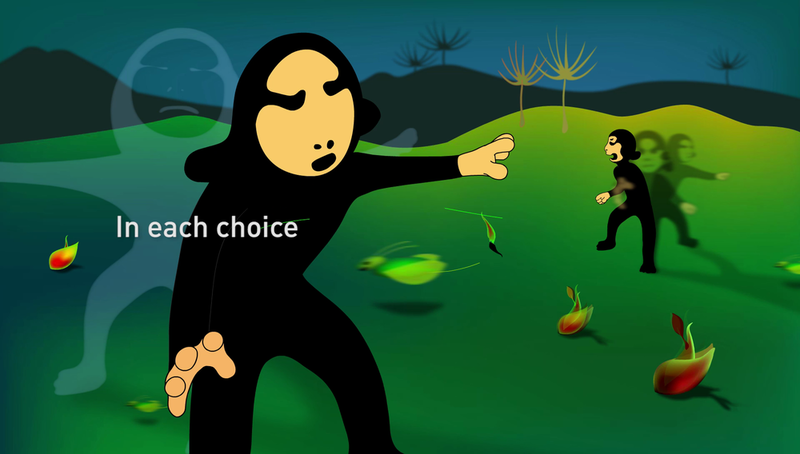 As a response I created a series of interactive-animated vignettes which made a case for the importance of following one's wishes, the effect of one’s choices, while getting to know oneself in the process. Little did I know how much this project was about to change the trajectory of my life. I built a team of volunteer programmers and creative collaborators, who helped me bring this ambitious multimedia experience to life. Which included programmatic animation, writing, photography, and sound design. People wrote in from all over the world (years before social media). I received thousands of personal messages from individuals sharing their reactions, to creative agencies, and brands. Which lead to working directly with Ferrari, and Macau Ale/Kirin Beer. And connected me to a global community of amazing creatives I’m still close to today. The project was covered in major design books by Die Gestalten Verlag: Los Logos, Coast to Coast, and Pictoplasma. And in many web publications, including a mention on the Wall Street Journal by film director Iara Lee. Here's one complete interactive animation proposing the value of quieting all external distractions to find the clarity to understand your deepest passions. The original interactive piece flashed the message to "Be still" each time the cursor was moved. Only once the user stopped moving and managed to 'be still' for a couple of seconds, is when the slow paced animation began to play.